- Particle Transforms featurette with "Triple Threat" and the new song "The Sweeper"
- Transformations photo gallery featuring "Smile" live 2.24.06. Since 2000, Particle has emerged as one of the hottest up-and-coming acts on the jam-band circuit, playing their techno-flavored instrumental jams at sold-out shows across the country. In late 2005, their guitar player left, and while auditioning new ones, they realized that they couldn't decide between the two finalists, each of whom would take them in a different, new direction. After much soul searching, they chose both, and instantly expanded their range to include not only a more-organic rock sound, but also vocals, a first for them. 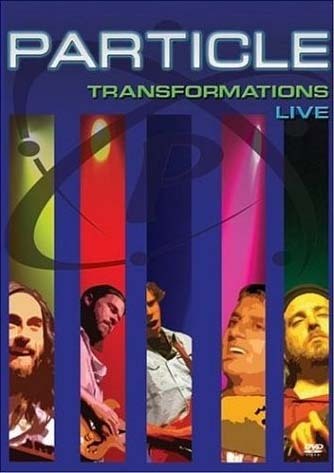 This 2-CD set, Transformations Live: For the People, is a companion to the like titled DVD, and includes not only highlights from the new line-up's first-ever show, but also key performances from their next show, recorded on Fat Tuesday at San Francisco's Great American Music Hall. 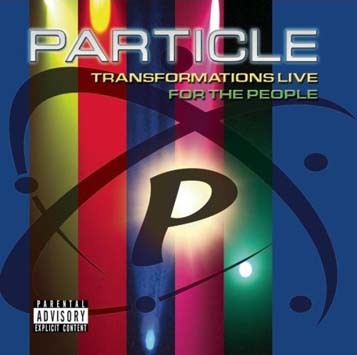 The Transformations Live DVD captures Particle as they introduce their new sound to their fans for the first time, at the Henry Fonda Theater in Hollywood on February 24, 2006.